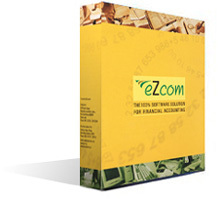 We present the new generation accounting package eZcom, a power packed product for the entire trading community with many advantages over other products of its kind. We are sure this product will help you to save your time and hence your money by virtue of its simplicity and other advanced features. The person responsible for investing a mutual fund’s assets, implementing its investment strategy, and managing the day-to-day portfolio trading. The rate at which a mutual fund unit is bought or sold. (The value of a fund’s investments.) For a mutual fund, the net asset value per share usually represents the fund’s market price, subject to a possible sales or redemption charge. It comprises 30 stock, which are actively traded in the stock exchange. It is one of the most common barometer to measure changes in the conditions in the stock market. A rise in the BSE sensitive index generally indicates that the stocks have risen and a fall in the index indicates that the stocks have fallen. Bombay Stock Exchange (BSE) is a stock market. (A place where share can be bought or sold.) Bombay stock exchange is the biggest stock market in India. A mutual fund that does not impose a sales commission. A prolonged period of rising prices, usually by 20% or more. A mutual fund that invests in a broad, well-diversified group of stocks. A type of investment fund that contains a wide array of securities and is adequately diversified. A mutual fund classified as a “diversified fund” will actively maintain a high level of diversification in its holdings, thus reducing the amount of risk in the fund, since events that affect one sector won’t have the same effect on other sectors. For example, the fund may restrict its purchases so it is not dominated by companies from one industry or representing one market capitalization size. A mutual fund scheme that invest half in corpus in equity and the other half in debt instruments. A balanced fund is less riskier than an equity fund but at the same time gives better returns than an debt fund.